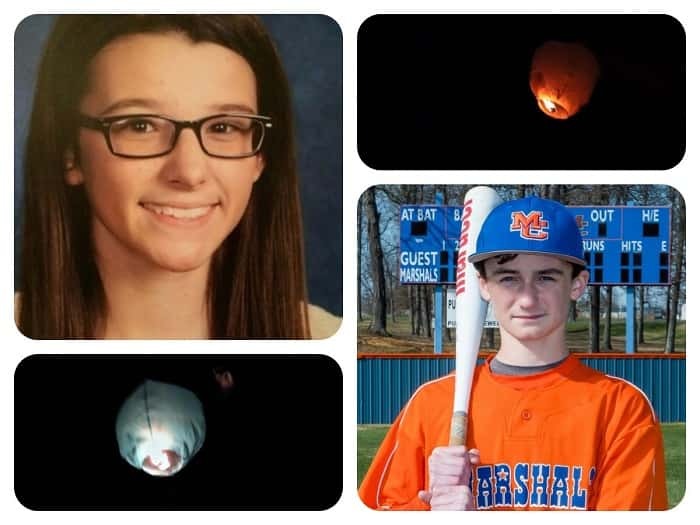 Bailey Holt and Preston Cope’s memories were honored with the release of a blue and orange lantern at the conclusion of the Healing and Remembrance event Wednesday at Mike Miller Park. Marshall County FOCUS (Facilitators of Community Unity & Support) group held a Healing and Remembrance event along with area churches Wednesday night, Jan. 23 at 6:00 p.m., at Mike Miller Park on the day that marks one year since the tragic shooting at Marshall County High School. The event began with a word of prayer from Pastor K. Alan Miller followed by Bro. 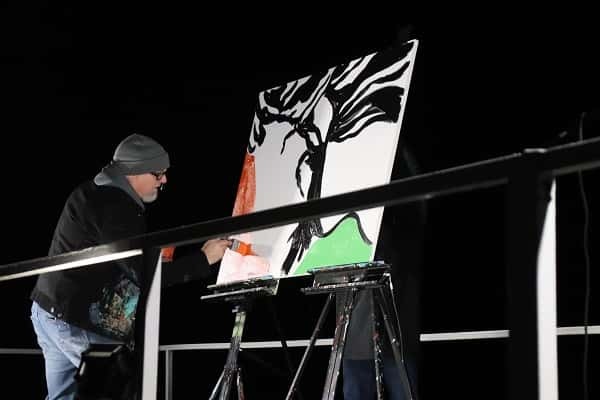 Tim Bertrand of God’s Graffiti Ministry who used his gift of art and love of Christ to create a painting while presenting a Message of hope and healing for the community. 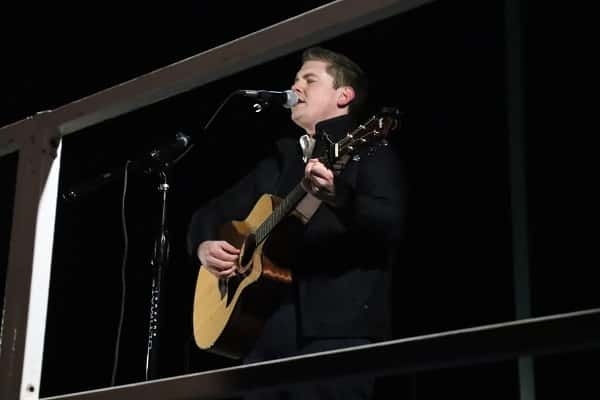 Local musician Cody Myers, performed a song inspired by the aftermath of Jan. 23., a reminder that together we are strong. The event ended with the release of one orange and one blue Chinese Lantern. Bro. 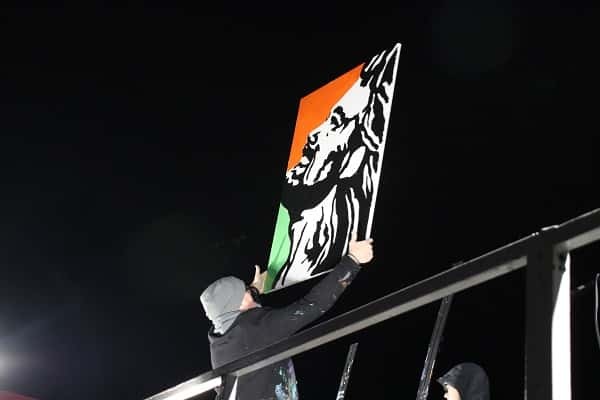 Tim Bertrand of God’s Graffiti Ministry, created a painting in remembrance of those affected from the Jan. 23 shooting. Cody Myers performed a song he wrote with Bro. Brian Brophy of the Reidland Church of Christ, inspired by the aftermath of January 23rd.